Natalie Zemon Davis has always been captivated by the possibilities of social transformation. It began during her days at Kingswood, when her studies in history, literature, current events and ethics began to shape her world view. "I feel I developed a social conscience at Kingswood,” says Davis. She has become one of the world’s most prominent historians. 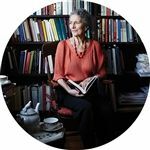 She has written nine books, including the popular “The Return of Martin Guerre,” edited many others and contributed more than 80 journal articles to publications around the world. It has been said that she is one of today’s most creative historians, using her unique combination of imagination and painstaking research to tell the story of the human experience throughout history through the eyes of the ordinary person, not the elite. "At Kingswood, I was already interested in people who were different, people who were not at the center of wealth and power,” she says. She was one of only a few Jewish students in the school at the time, and she feels the experience helped strengthen her character. Her leadership role at Kingswood helped prepare her for her future role as the president of the American Historical Association in 1987, the second woman in the organization’s history to hold the position. She is currently a history professor at the University of Toronto and was the Henry Charles Lea Professor of History Emerita at Princeton University. She graduated from Smith College and then received her master’s degree from Radcliffe College and her doctorate from the University of Michigan. The importance of her work has been recognized by scholars around the world. In 2010, she was awarded the prestigious Holberg International Memorial Prize in Norway, awarded annually by the Board of the Ludvig Holberg Memorial Fund for outstanding scholarly work in the academic fields of the arts and humanities, social sciences, law and theology. She was also made a Companion of the Order of Canada in June of 2012, the highest class within the order. She is currently at work on one of her most ambitious projects yet, a book currently titled “Braided Histories.” In it, she traces four generations of a slave family in 18th century Suriname, starting with the African generation. “In some ways, it’s the most difficult book I’ve ever done,” she says. “When I was writing about Martin Guerre, even though he wasn’t literate, there were a lot of documents I could use. Now, I’m working with only plantation inventories, but I’m trying to get into the mentality of these people.” Many of the slave women had European lovers, and Davis is interested in the braiding of the European and African cultures, and how their stories connect. She hopes to have the book finished next year.